Check out our new NETWORK store for some cool new gear! 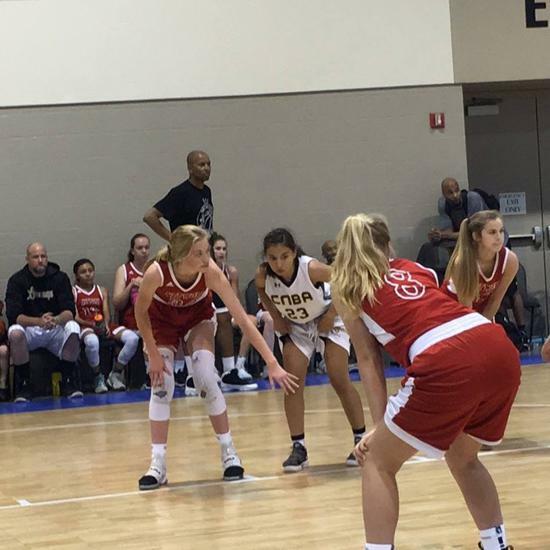 The Blue Star Invitational Camps were started in 1981 with the singular purpose of giving girls basketball players an opportunity to compete against the nation's best players, in first class settings, in front of college coaches during the NCAA observation periods. While most other camps cater to the men's game, Blue Star's approach has been to the women's game from the start. In nearly 40 years of operation, Blue Star is considered the premier experience in girl's high school basketball. Over 70% of the top female high school players during the past decade have attended Blue Star. During the past 25 years of Blue Star over 1,514 campers were named to the prestigious Street & Smith Magazine pre-season All-America high school girls basketball team. Our past event all-star listings are a Who's Who of College Basketball & many have gone on to have extensive and illustrious college coaching careers. Blue Star staff alone has six of the 24-committee members for the McDonald’s All-American Team. 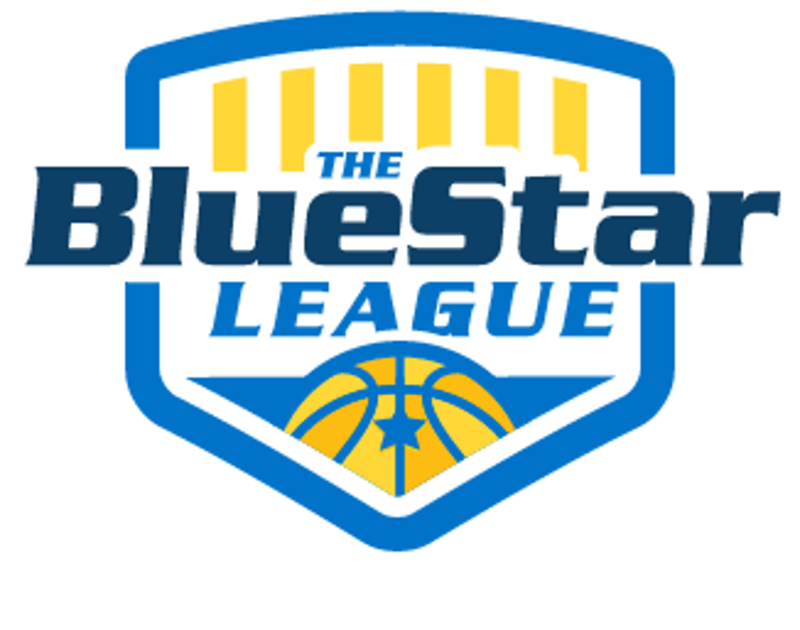 Many of the players that have attended the Blue Star Invitational Camps were candidates for the prestigious Sporting News (formerly Street & Smith) pre-season All-America team, McDonald’s All-American Team, Blue Star Report All-America / National Rankings, USA Today All-America, Parade Magazine All-America, the Gatorade Circle of Champions Award and Scholastic Coach Magazine All-America. With new changes to the NCAA Recruiting Calendar, the week of July 24th will be home to “invite only” camps facilitated by USA Basketball and the NCAA. Although these camps will provide a platform for a select group of prospects to play in front of Division 1 programs, tens of thousands of prospective scholarship players across the country will be left out. On July 24th and 25th, preceding each Circuit Final in Irvine, Minneapolis, and Wichita, Prep Hoops will be facilitating “invite only” overnight camps for college-bound prospects who were not selected for the NCAA/USA Basketball camps. Camps will be held under one roof and will be strictly limited to 160 attendees at each event. Players from teams participating in The Prep Hoops Circuit will have exclusive access to early invitations, applications, and admission. Are you a hooper? Do you love the game of basketball? If so, come out to our spring/summer weekly workout sessions. We offer 4 sessions from April to July, every Wednesday night. SPEARFISH, S.D. – Black Hills State University head women's basketball coach, Mark Nore, has announced the signing of an additional student-athlete for the 2019-20 season. Danica Kocer is a 5-9 guard from Brandon, S.D. She was a captain of Brandon Valley High School her junior and senior years, and helped lead the team to a State AA Championship in 2019. She is a two-time All-State First Team member, and was named to the All-Tournament Team her junior and senior years. She is number four on the all-time career scoring list at Brandon Valley HS, and led her team in scoring all four years during her prep career. Kocer also was a state medalist in cross country and track and field. "Danica is a basketball player – she understands the game and has a fearless mentality. She plays with confidence and plays the game the right way," said Nore. "She can play multiple positions on the floor and won't back down from anyone. I like her competitive spirit and her knack of putting the ball in the basket. She is a great teammate and just an all around great young lady. We want to welcome Danica to our team and family and the community of Spearfish!" Danica is the daughter of Becky and Jared Kocer. She was named Academic All-State and was a member of the Math National Honor Society. She plans to major in chemistry at BHSU. A 5-9 guard, Law has earned second-team all-state honors in basketball while also being a state medalist in the triple (second place) and long (fourth place) jumps. "Trinity is an explosive combo guard who is difficult to contain because of her motor and athleticism. She has the ability to get downhill and make plays around the rim and also has the ability to shoot the ball from the perimeter. Her ability to create her own shot off the bounce is something that is extremely valuable in the college game," said Eighmey. Helping BVHS finish seventh in the state tournament in 2017 and fourth last winter, Law averaged 11.6 points, 3.3 rebounds, 2.6 steals and 2.4 assists per game as a junior. Named to the 2018 state all-tournament team, she had a 32 point effort (13 for 13 free throws) in a win over Washington. Finally, Law is part of a Lynx track program that won the 2018 state title after finishing as state runners three straight times. "Trinity also has the qualities to become an elite defender for our team in the future. She's a tough competitor and a great teammate. We are looking forward to having the opportunity to coach Trinity and welcome her to the Loper family," said Eighmey. MITCHELL, S.D. 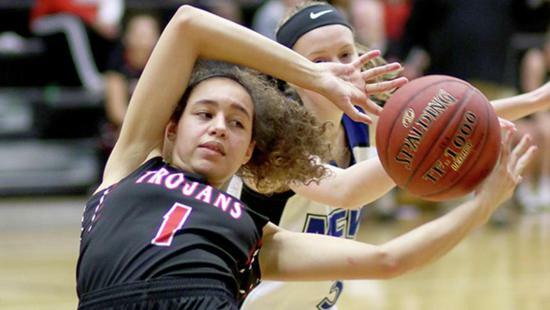 – The Dakota Wesleyan University women's basketball team has begun the recruiting process for the 2019-20 season with the addition of three local standouts, head women's basketball coach Jason Christensen announced Tuesday. Christensen added Mattilynn Reiner of Tripp, S.D., Emma Paul of Dell Rapids, S.D., and Sydnaya Dunn of Sioux Falls, S.D. Dunn helped lead the Sioux Falls Lincoln Patriots to a 16-3 record her junior season, the second-best mark in Class AA and a third-place finish at the state tournament. She received the Most Improved Player Award, multiple Unsung Hero of the Game Awards and was named the team captain. She averaged six points and five rebounds per game, while tallying 40 blocks and 29 assists. Dunn shot 48 percent from the field during her junior season as well. She was voted to the All-Star Team in a tournament in Kansas City. She received Academic Excellence Awards all three years in both basketball and volleyball. Dunn is also a member of the National Honor Society and the Spanish National Honor Society. MOORHEAD, Minn. — Minnesota State University Moorhead women's basketball coach Karla Nelson has announced the signing of four-student athletes for the 2018-19 season. Signing with MSUM on Wednesday were Nicole Brown of Madison, S.D. ; Nicole Hebranson of Hawley, Minn.; Autumn Schlader of Ashwaubenon, Wis.; and Natalie Steichen of Dilworth, MInn.
"With our 2018 recruiting class we are happy to be able to add some key pieces to help fill the shoes of our outgoing senior class," Nelson said. All four of these student-athletes are extremely hard workers in the classroom and on the basketball floor, thus it is no surprise how successful they have been up to this point. They each bring a unique, athletic skill set and we look forward to helping them contribute to our Dragon program in the near future. Has 735 points, 595 rebounds, 97 blocks and 54 steals in career heading into her senior year…averaged a double-double as a junior…all-conference second and third team honoree in career…voted team Defensive Player of the Year in 20-15…three-year letterwinner in basketball…also lettered in volleyball and track and field. "Nicole is the perfect fit as a student-athlete at MSUM," Nelson said. "From the first time she stepped foot on campus, we had a great connection with her and we immediately knew that she is a perfect fit as a Dragon. Nicole adds to our roster in another post with great size and ability to affect the game on both ends of the floor. She has a tremendous upside and we cannot wait to get the most out of her abilities as a Dragon." ©2019 South Dakota Network Basketball / SportsEngine. All Rights Reserved.